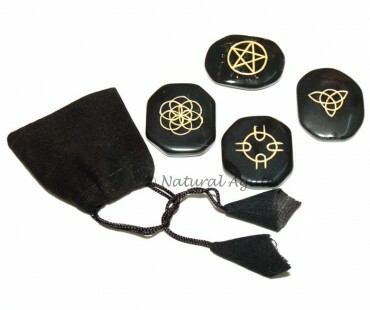 Catic Desing Reiki Set includes four black stones with symbols on them. These symbols play important roles in reiki process. They attract energy which is used for curing others. You can buy this set from Natural Agate at a reasonable price.